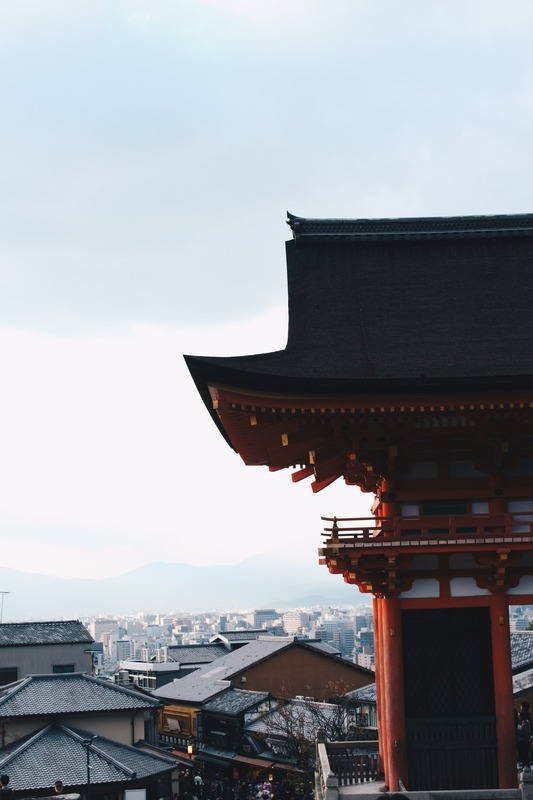 Japan is an incredible place, and it undoubtedly made quite the impact on me. 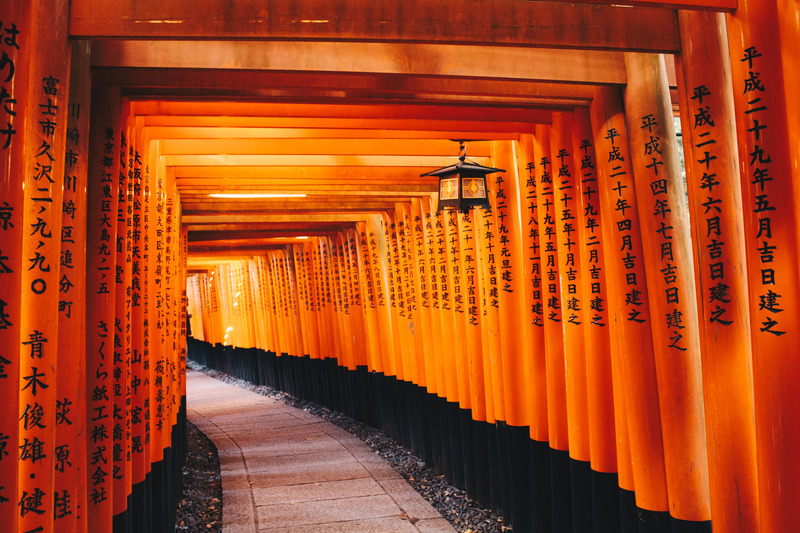 So much so that I’m writing this post almost 6 months after having visited. And it now comes in much anticipation for a very big trip I’ll soon be departing on – 5 months spread across Europe and South America with plenty of time to food blog! I’ve been contemplating writing this post ever since Robbie and I returned in November last year. A significant part of travelling for me is all about food. 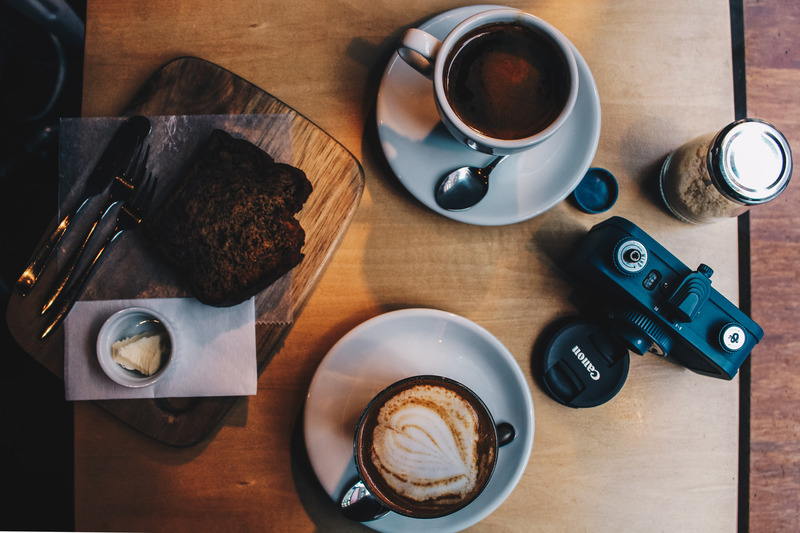 I spend A LOT of time researching where to eat, what to eat and where to find the best coffee. So it only made sense that I share that with you – but I think the reason it has taken me until now, is that it’s completely new. I didn’t know what format to write it in and I wasn’t sure whether it would be something you, my lovely readers, would be interested in. I develop recipes, share them along with stories about food and gut sensitivities, so would broaching the subject of travel scare you away? Would it feel out of place? After much procrastination I realised I couldn’t answer either of those questions. 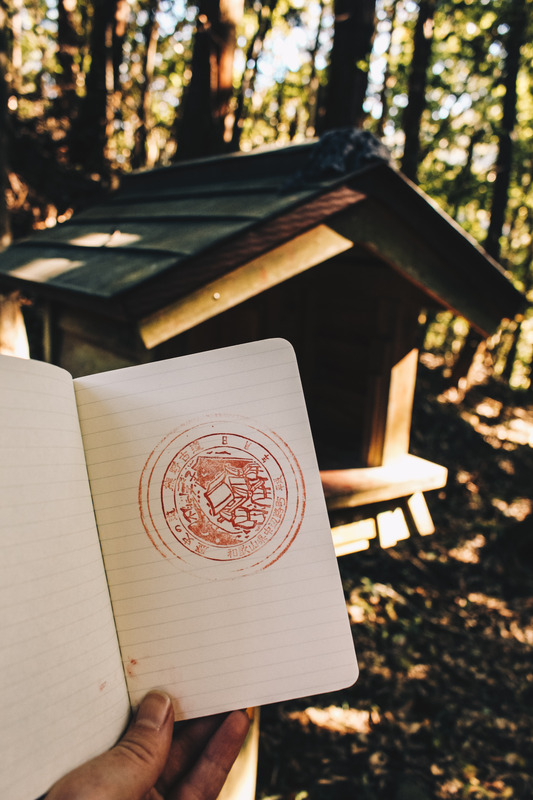 I started writing. I decided we’ll see how it goes. I’ll be counting on you to let me know and if you like it, there’ll be plenty more in-store this year! 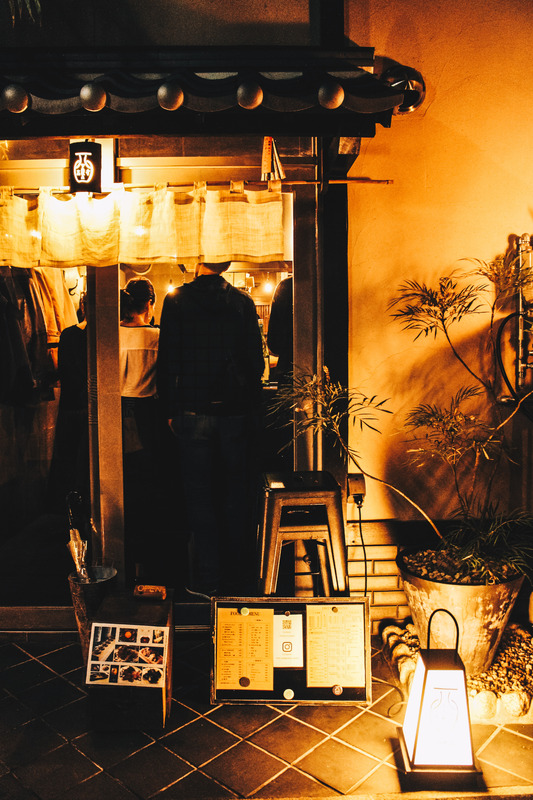 We started in Tokyo calling Shimokitazawa our home base for 5 amazing (and delicious) nights. From there we boarded the first of many shinkansen (ie. bullet trains) toward the Wakayama region, via Osaka. 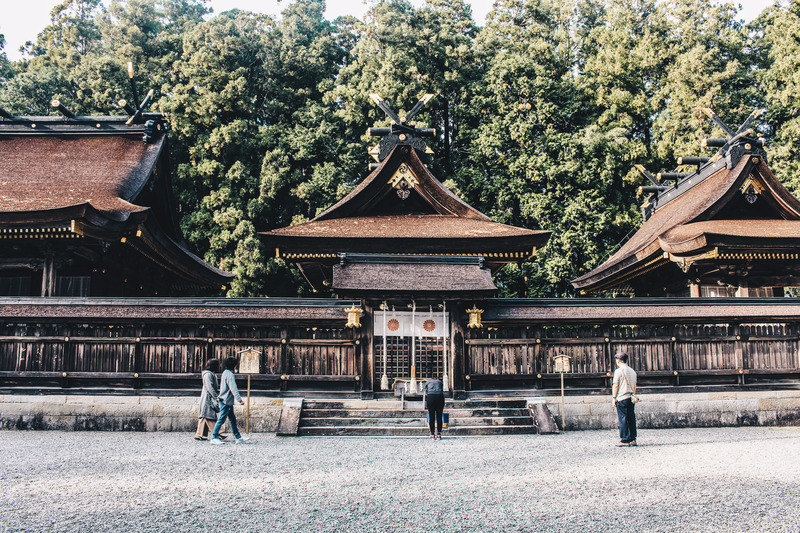 One night in Osaka didn’t let us scrape the surface of the city’s offerings, but provided a quick taste before we journeyed on to the Kumano Kodo. 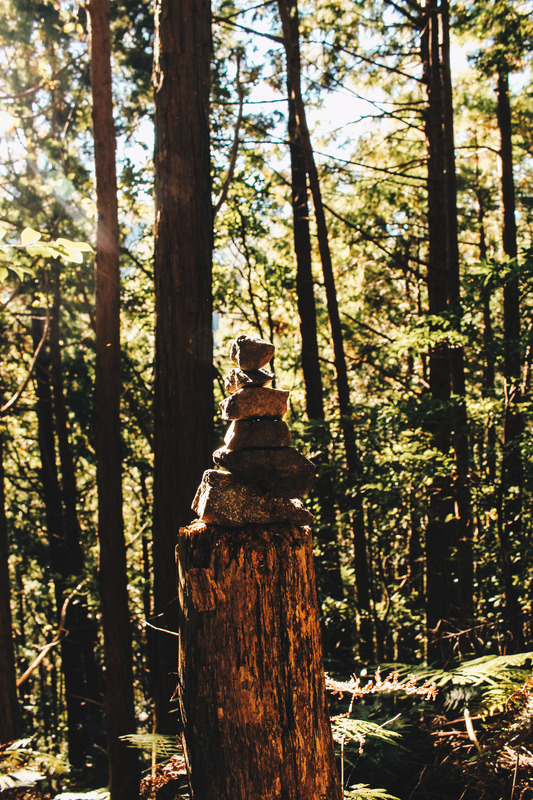 Sister to the Camino de Santiago in northern Spain, the Kumano Kodo is a sacred, 68 km pilgrimage. We walked 3 days and 42 kms of the pilgrimage, an incredible experience and landscape that left us in awe. 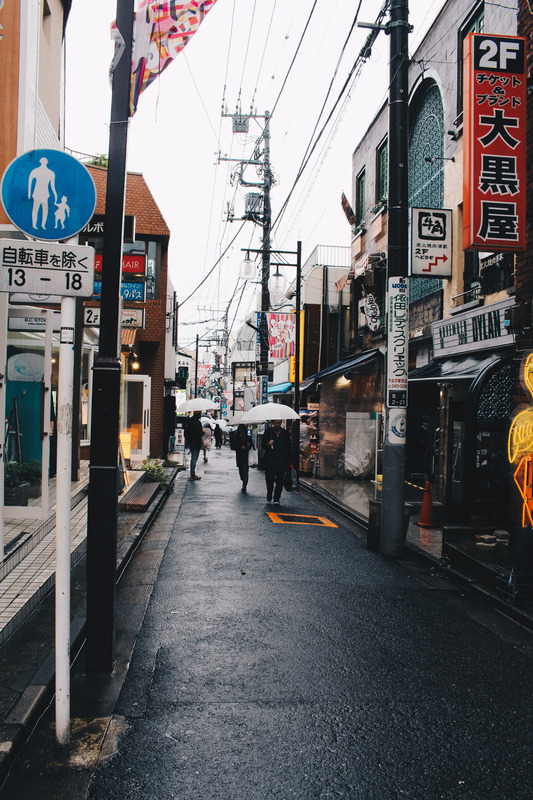 From there we traveled to Fukuoka, the city said to have the world’s best ramen. 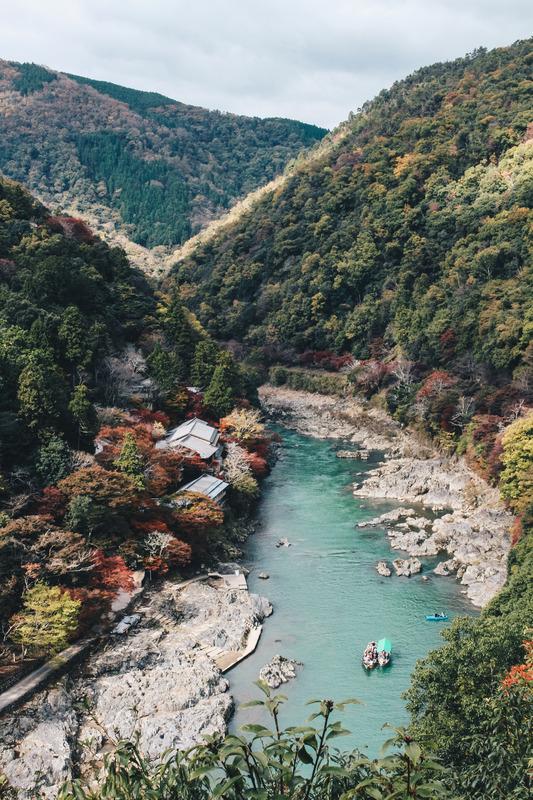 This small city did not disappoint and I indulged in my first bowl of famous ramen – wheat, onion and all – for the purpose of research of course (I definitely eased up on FODMAPs whilst away but don’t worry I’ve included my FODMAP tips at the bottom of this post). 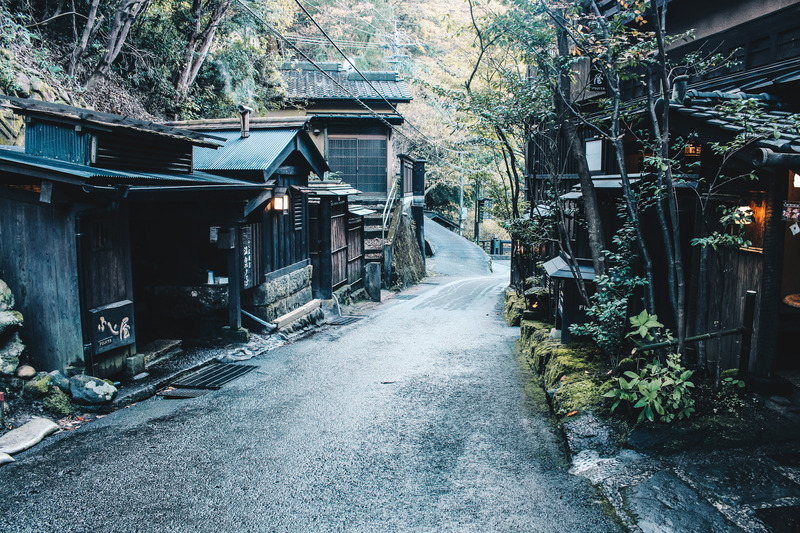 Onward we drove to the wonderful onsen town of Kurokawa. By this time we had watched the autumn leaves turn from yellow to orange to a vibrant red. There we experienced the wonders of Japanese onsens, so serene, relaxing and rather liberating. Feeling refreshed we returned to the main island of Japan to our final destination, Kyoto for another 5 nights of amazing food experiences and a spot of sightseeing. Shirube – An izakaya in the back streets of Shimokitazawa, was where we ate a late dinner on our first night. If I believed in omens, I would have known it from the moment we stepped into Shirube, that good things were on the horizon. 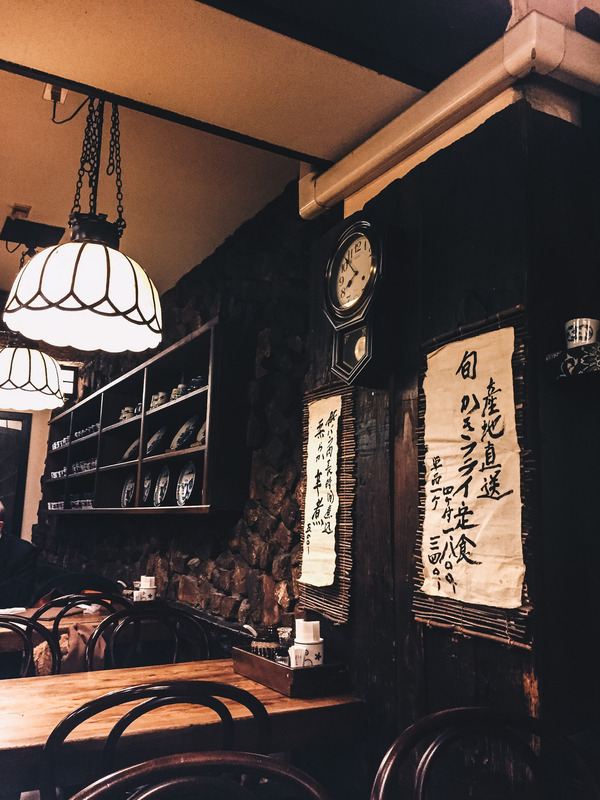 Tired from travel, we quietly entered the izakaya anticipating a quick bite before a much needed rest. However this izakaya was buzzing with energy and not one to be rushed. 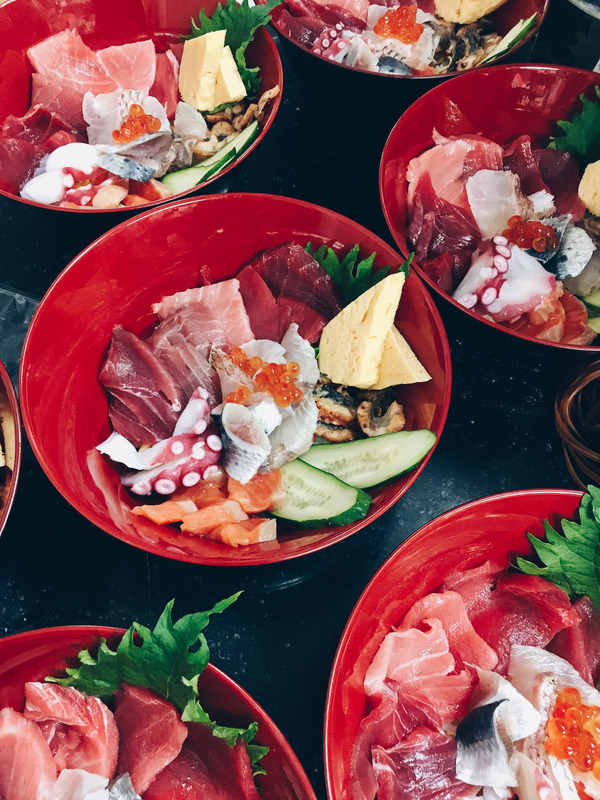 We were greeted loudly by all the staff welcoming us in Japanese, and seated by the bar, we were able to chat to the chef and enjoy each dish he aptly recommended. I was unfortunately too tired to remember to take a photo, maybe next time! 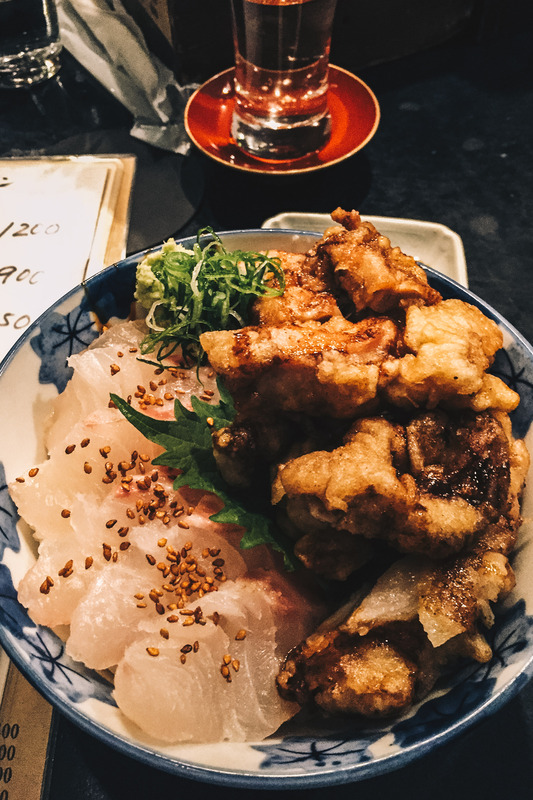 Katsuyoshi – Recommended to us by Shimokitazawa locals, this Tonkatsu restaurant was as traditional and authentic as they come. With very little English spoken here, we ordered by pointing at pictures on the menu, and were extremely pleased with our choices. The pork tonkatsu and all the extras it was served with was amazing. Although not gluten free, the amount of crumb I believe would be suitable if you can tolerate some wheat. 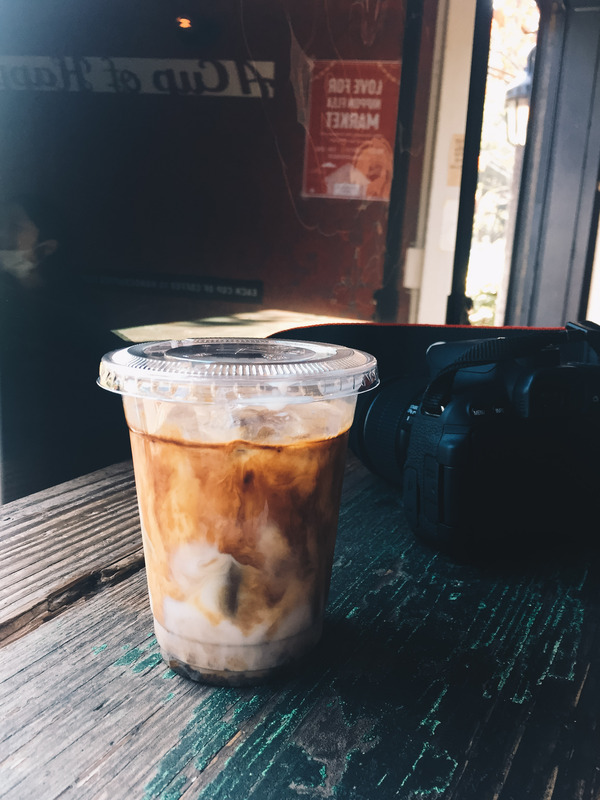 Little Nap Coffee Stand – The best almond milk iced latte. Period. They make their own almond milk here and use their own coffee beans. 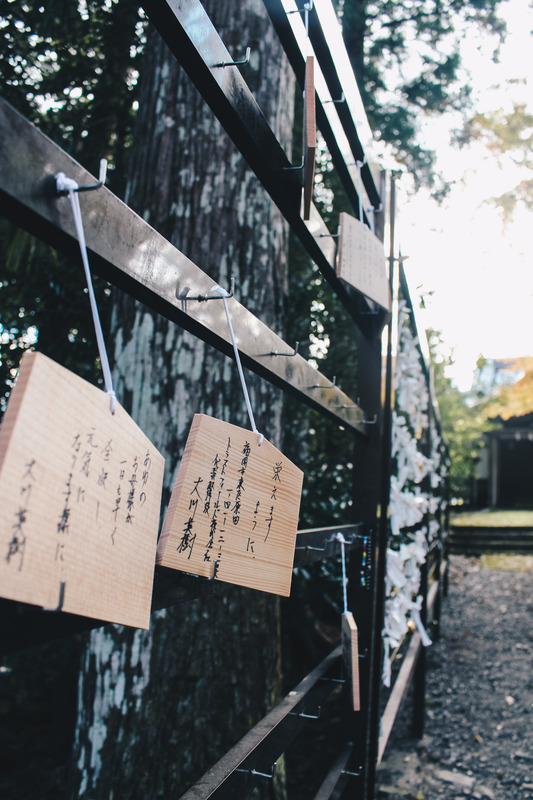 We got ours to go and enjoyed it whilst strolling through the luscious Yoyogi Park. My only regret, not going back here. 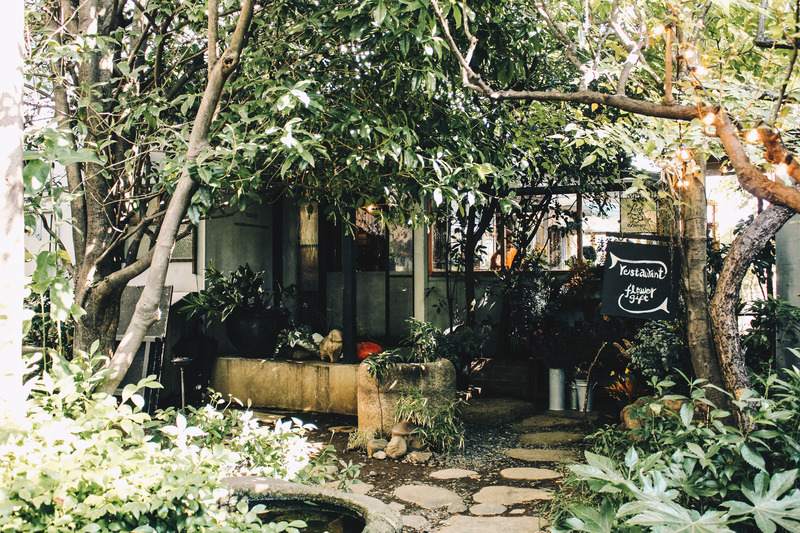 Nomin Café – Another Shimokitazawa gem, this ‘farmers cafe’ uses organic produce to create beautiful and delicious meals. We escaped the evening’s rain here for a lovely dinner, which was made more perfect with slippers to warm our toes on arrival. 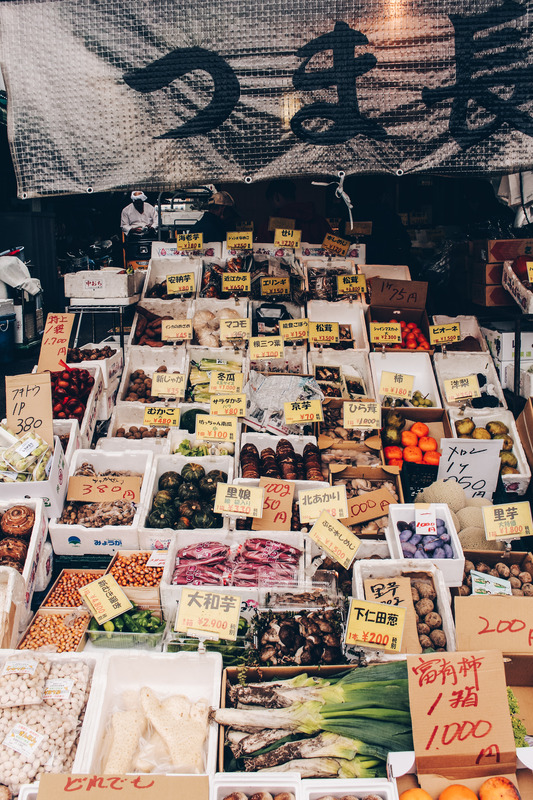 Tsukiji Market – You would have heard it before, a visit to Tokyo is incomplete without a visit to the fish market. We did one better and booked what ended up being an extremely memorable tour with Yoshi via Airbnb experiences. Never have I eaten so much sashimi in one sitting, and sashimi so fresh! 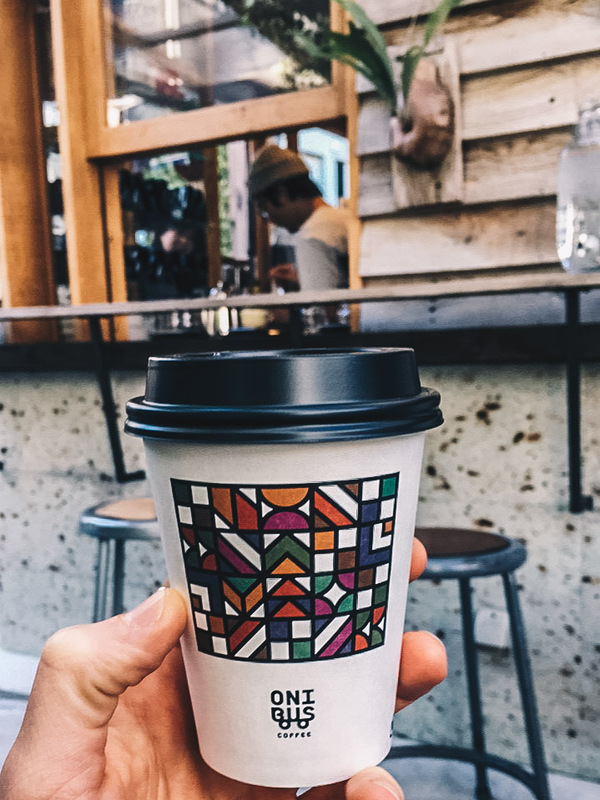 Frankie Melbourne Coffee – I know what you’re thinking – don’t I get enough amazing Melbourne coffee in Melbourne!? Well yes, I do, but how could one resist. Frankie is a perfect stop on the way into town for a well-brewed coffee and homemade banana bread (not gluten free banana bread, but I wasn’t concerned). 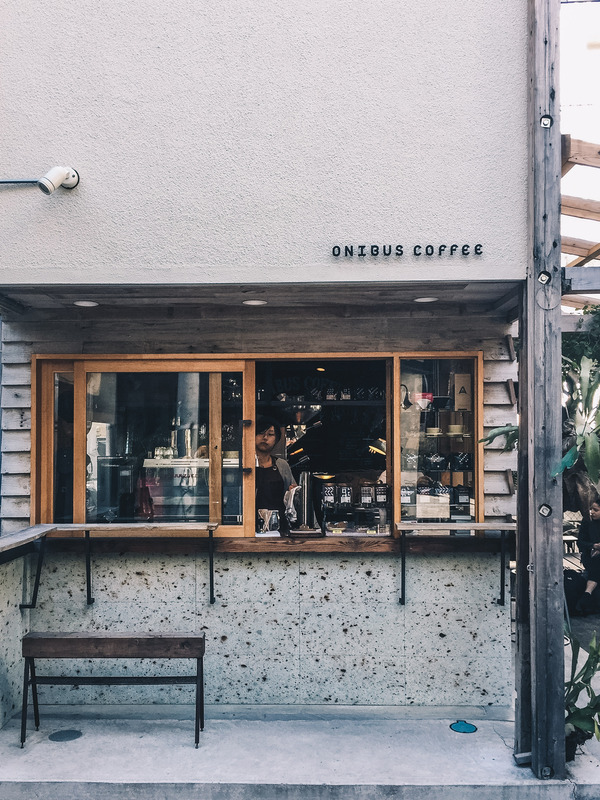 Onibus – Like all good things, Onibus in Nakameguro is a little hidden down a backstreet, but if you’re a coffee enthusiast (like Robbie) you’ll be sure to go there for a really good brew. 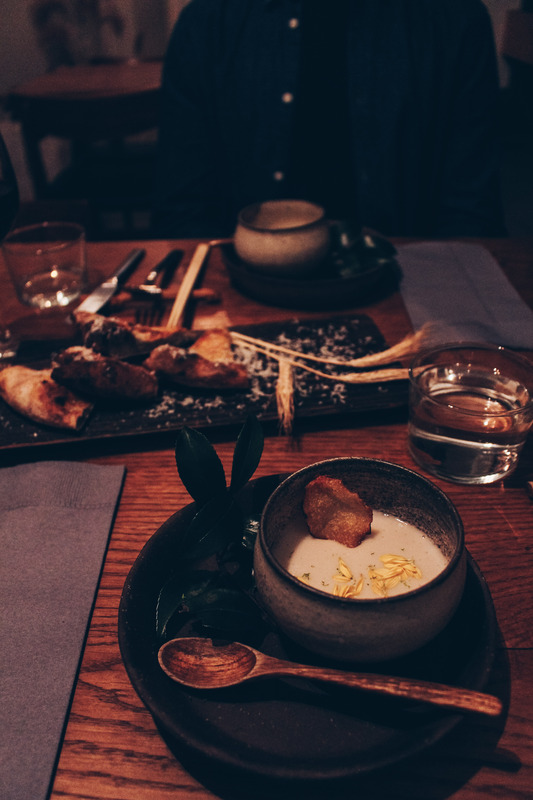 eatTrip – We unfortunately didn’t get to eat at this beautiful restaurant as it was booked out, but I have heard only good things. Next visit, I’ll be making a reservation well in advance. 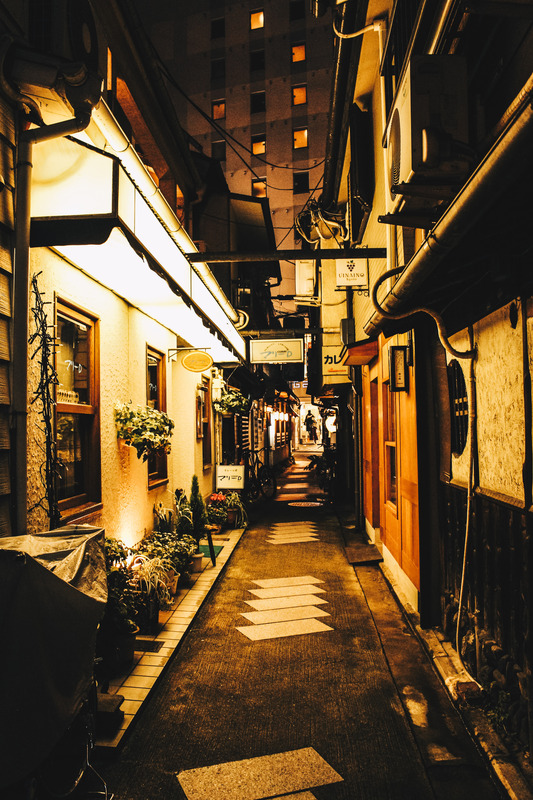 Taka – In central Kyoto, down a narrow, warmly lit alleyway, you will find Taka. 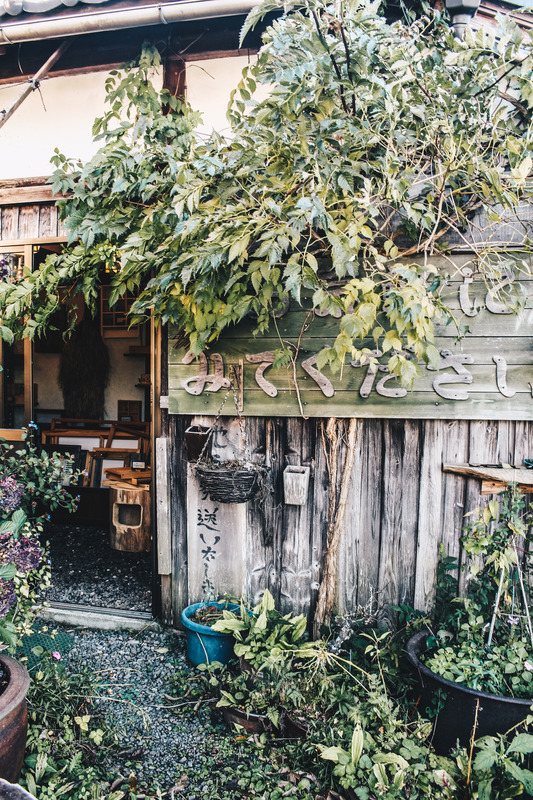 With standing room at the bar or a handful of seats upstairs, this tiny restaurant was found only by recommendation from the friendly folk at Len. On all our travels, we have never gone back to the same restaurant twice, no matter how good it was, until Taka. On our first visit, we got chatting to the chef who told us he spent 10 years in Milano, Italy. It made sense – my two favourite cuisines, Italian and Japanese, were right here before me both done to equal perfection. 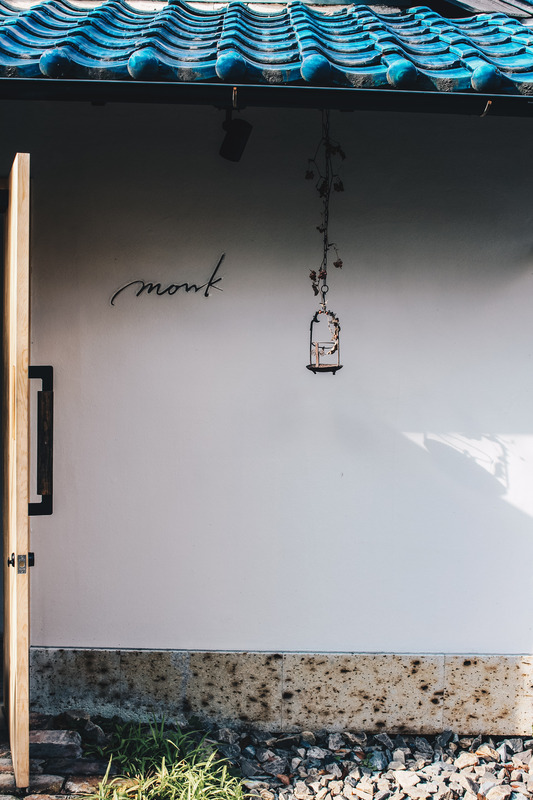 Monk – I learnt that Monk was not to be missed from following the lovely Beth from Local Milk on instagram, and I’m so glad I listened. 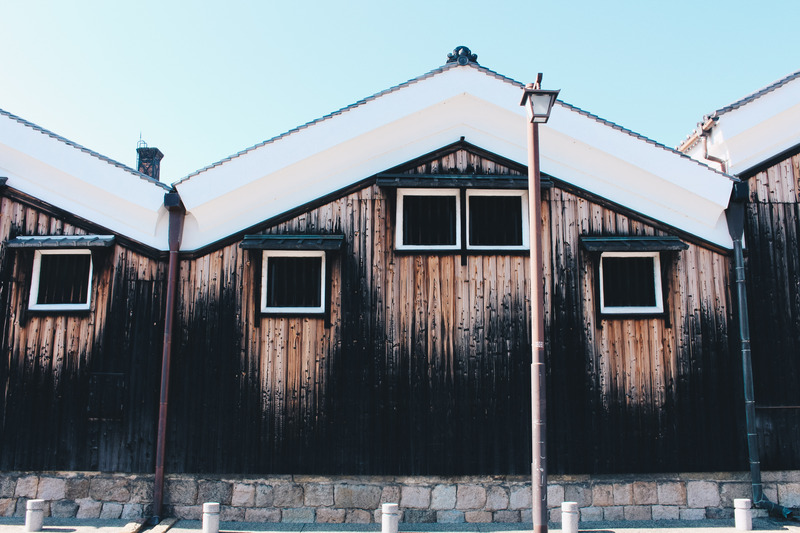 The whole Monk experience was perfection, from the intimate atmosphere to the delicate fresh ingredients and wood fired pizza – which is made from several types of home milled flour and a very long natural fermentation process. Seriously amazing. Len Hostel – Home away from home, Len had it all. Good coffee, good food, good craft beer, the friendliest of staff and the perfect spot to rest after a day of wandering. 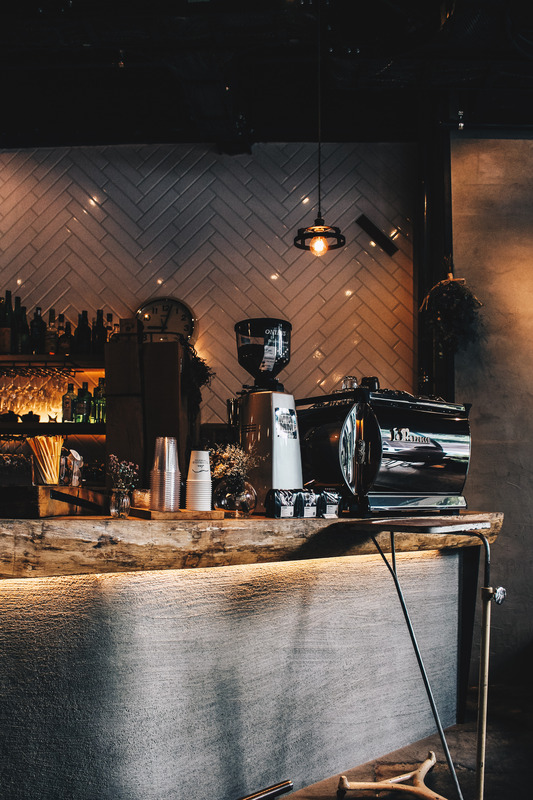 Sentido – Real good coffee and a lovely space. They even had a few gluten free treats. 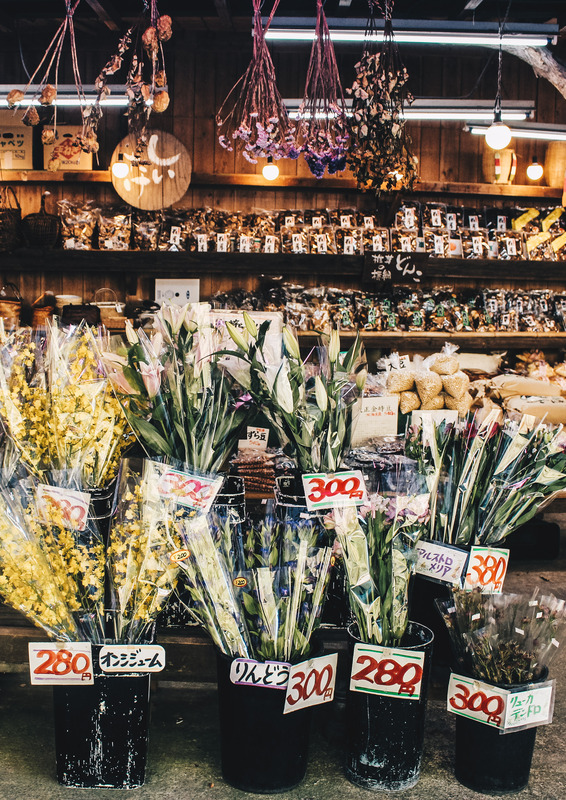 Nishiki Market – Kyoto’s main market, Nishiki, is perfect for a stroll mid-morning or afternoon when you are a wee bit peckish. 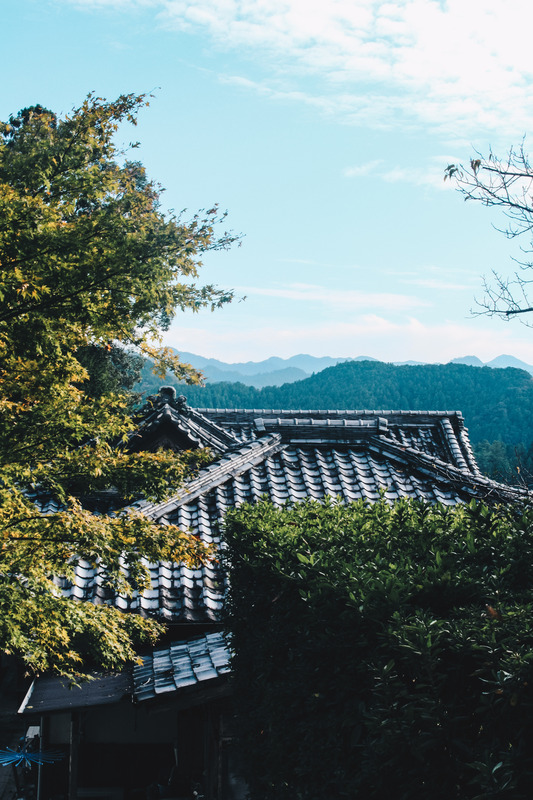 Dedicate some time here to walk up and back to take it all in. The grilled salmon and soy milk donuts were amongst my favourite things there. 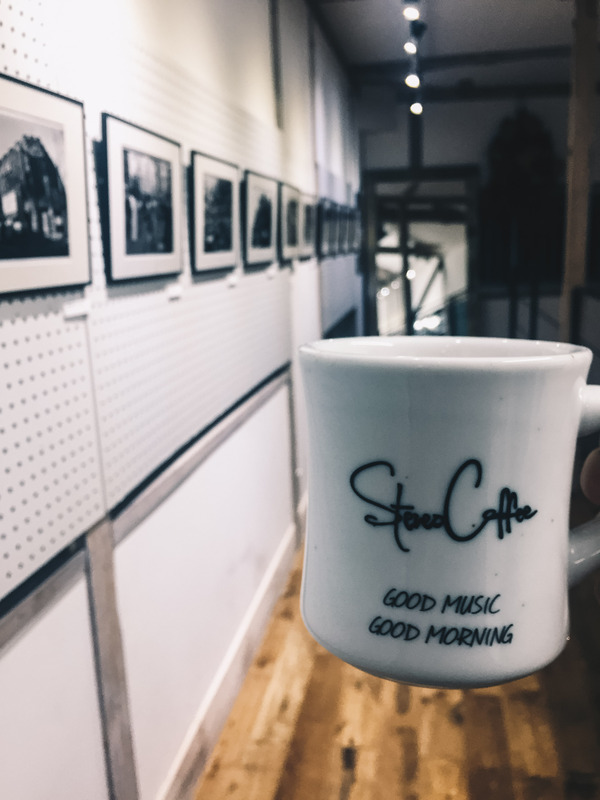 Stereo Coffee – Their mug says it all, good music, good morning. Except we first stumbled upon Stereo in the late evening, looking for somewhere cosy to escape the rain. With records spinning in the front, we sipped our hot drinks (soy chai for me) listening to good tunes, and strolled through the upstairs gallery. Next morning we returned to try the coffee – good coffee, good vibes. 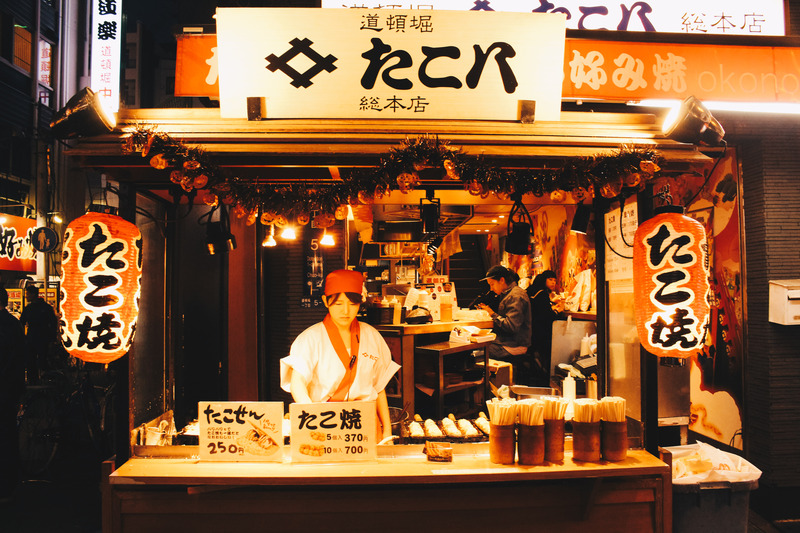 Yatai – Having dinner at a ‘yatai’ or street food stall in Fukuoka is a fun and tasty experience I’d highly recommend. We ate at Mama Chen’s, making friends with those squished in next to us. Robbie tried all sorts of offal, while I stuck to a fried soba noodle dish. For roughly $10AUD you can grab yourself a bento box for when you’re on the go or have a long journey on the shinkansen. A complete and well-balanced “takeaway” meal, bento boxes are often filled with rice, veggies, and meat/fish/tofu. They’re damn delicious and their simplicity means choosing a low FODMAP one is easy. 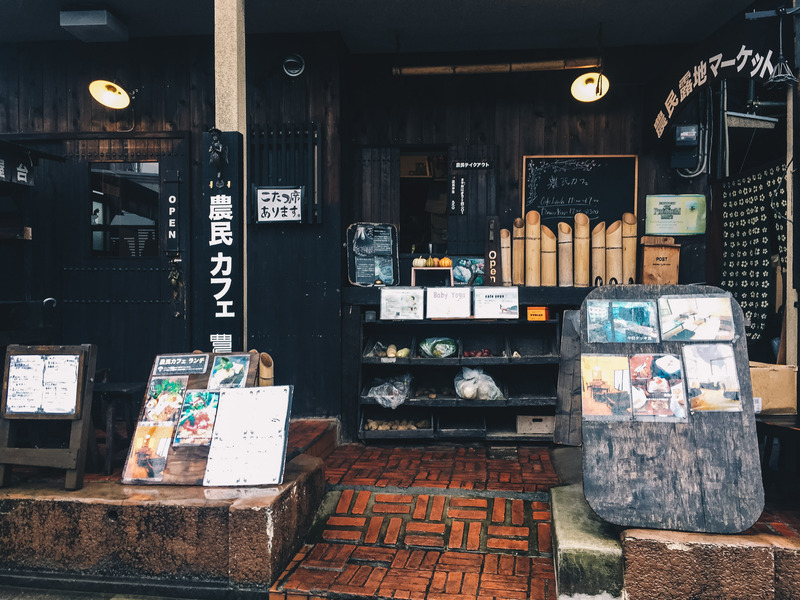 Eating at a sushi restaurant or an izakaya is usually going to be safe option, just watch out for mushrooms and spring onion if you can’t tolerate those. Thanks Steph! 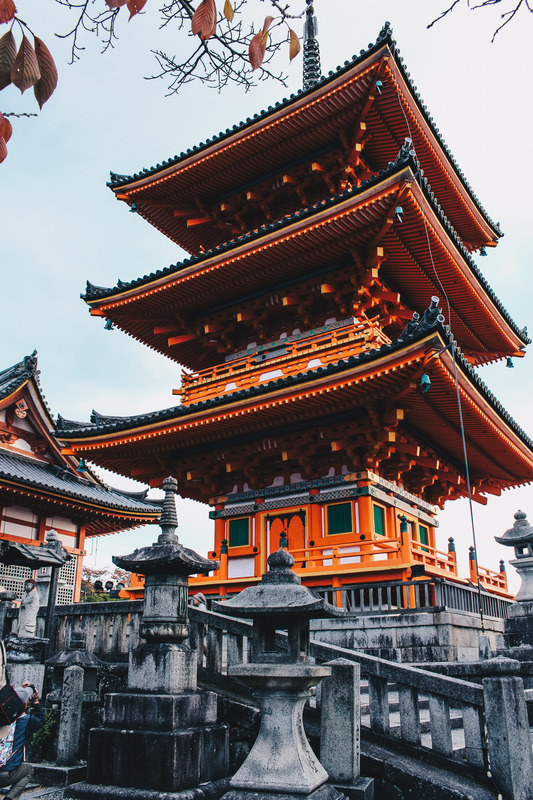 Have been thinking about Japan for the next holiday. It is great to get some eating tips and the photos are beautiful. Thanks for sharing this Steph, I’m already taking notes and getting very excited about our planning. Especially love all your good coffee tips. Marvelous photos too.